I have to admit that this has been a biggy with me. For a long time I just couldn't say no, and then I would often find myself feeling angry and frustrated when I had way too much on my plate. Then I finally learned to say no, but I would spend forever explaining why I said no. It was as if I thought I was going to fall out of favor with the requesting person. Ummmm!!! if that person stopped liking me because I said no, then do I really want to have them in my life? So now I am learning to just say no, and if the person starts asking me why not, I no longer feel like I have to explain my answer. No means no. I actually ran into this situation yesterday with a family member. I am finding that the more I do it the easier it gets, and when I do say yes I think the yes carries a lot more meaning. So what about you? 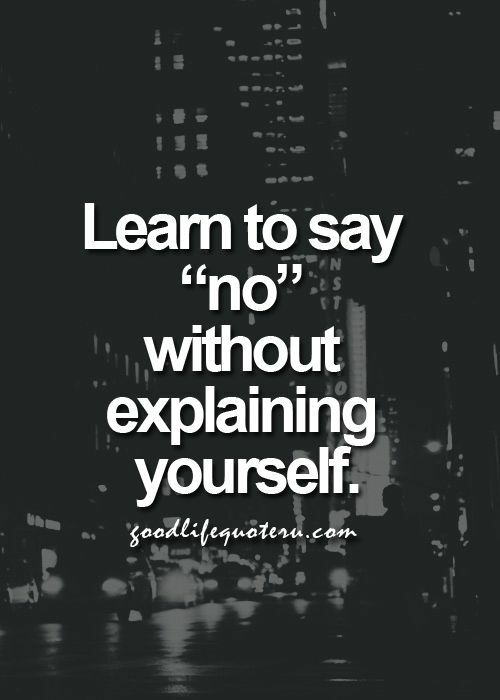 Do you feel that you have a hard time saying no, and when you do, do you start explaining yourself? P.S. You can find more Inspiration On a Monday posts here. I most definitely have a hard time saying no. And I do feel the need for an explanation. I need to work on this! I was the same way. yes, and never enough time to do what I had to do for myself. Now, I too, can say no because I have a busy schedule and sometimes others favors, some of which they can do for themselves, do not fit into my schedule. I am always there for emergencies but if outside favors don't fit into my schedule, they just don't. And I don't make excuses. Good for you, Debra. It is hard for women to learn to say no, but it is so important. I think the only real cure is practice, Debbie and changing the way that we look at it. WHen we realize that our time is just as important as everyone else's it becomes easier. I have gotten better saying "no" but I simply say, "I've got too much on my plate right now but thanks for asking!" I think most people can relate to "having too much on your plate" and that is the usual reason I would have to say "no". I think that is a lovely way to put it, Sandy. Yes, everyone can relate to too much on our plate. Oh yes, if I have to say no, I always torture myself with having to explain. I guess it's probably guilt talking, trying to make me feel better for saying no in the first place! Women are definitely socialized to feel a lot of guilt, GIna. We have to reeducate ourselves that NO is okay. Laura, wouldn't that be nice to be able to say no without explaining ourselves. It seems that everyone wants to know why. Such a wonderful post this is today, my friend. Thank you, Sheri. I think that Sandy said it best. When someone says why just smile and say, I have too much on my plate right now. Been there, done that, bought the t shirt! I find that people don't ASK me as often as they used to. Or maybe I am just running with a new set of people. I always tell myself that nobody can MAKE me do anything I don't want to! And now I find that as I grow older and times seems more precious - I always ask myself - do I REALLY want to do this?? I sometimes have to grit my teeth so I DON'T explain!!! I love that, Linda. I think when you have said no enough times that people do start to get the message. I have spent most of my life trying hard to do things for other people and yet I have been told, when I say no that I am just selfish. It can be a bitter pill to swallow. I had that need to please for so many years and saying No was so hard and then I would go on and on with an explanation. I no longer feel the need to do that. I've come a long way baby! Oh yes I have this problem too. It's like you read my mind! I don't want to hurt someone's feelings sometimes. That is the woman's guilt we have been made to feel. We just have to learn that we are not responsible for everyone. It can be very hard, Kelly. That's a good way to respond, Daniela. It is definitely a woman thing. I really need to stop over- explaining things or justify myself when I say NO. It isn't going to be easy but reading this post and the comments made me realise that it is not unattainable. Thanks Laura and thanks to all the ladies commenting. You are so very welcome, Thammie. I know you can attain it. I spent so many years running to help others. I liked pleasing people and wore myself out. Now I am working to say no most times. 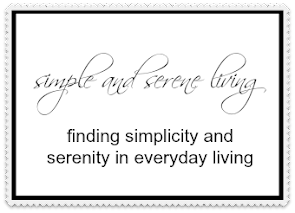 I want to live as uncomplicated life as possible. Now if someone seriosly had a need I would help if I could but that is rarely the case. I am making a list of things important to me and sticking to it. Hooray, Rita. It can take us a long time to learn that NO is an okay word. Looks like you have it worked out perfectly. Oh perfectly put...and it's like you are talking to me. That's so hard for me to do...I'm a explainer, a excuser, a I'm sorry...kind of person. Working on it, good things take time LOL. As women we have been conditioned all of our lives to be caretakers, so it is hard to break the habit, Jen. I read a book back in the 70's about How to Say No. It was good....I think all women growing up in that time probably were taught not to talk back, and it had serious repercussions.